Delivers 35 Highway MPG and 22 City MPG! 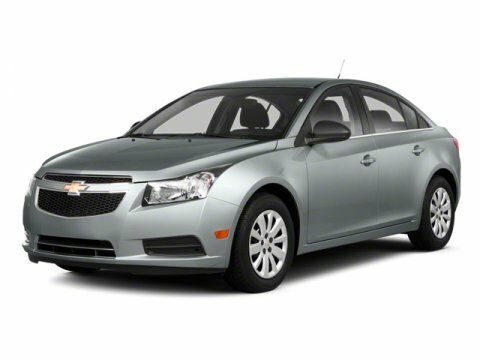 This Chevrolet Cruze boasts a Gas I4 1.8L/110 engine powering this Automatic transmission. TRANSMISSION, 6-SPEED AUTOMATIC, ELECTRONICALLY CONTROLLED WITH OVERDRIVE, SILVER ICE METALLIC, SEATS, FRONT BUCKET WITH RECLINING SEATBACKS AND ADJUSTABLE HEAD RESTRAINTS. * This Chevrolet Cruze Features the Following Options *PREFERRED EQUIPMENT GROUP, LPO, CRUISE CONTROL ACCESSORY KIT, LICENSE PLATE BRACKET, FRONT, JET BLACK/MEDIUM TITANIUM, PREMIUM CLOTH SEAT TRIM, ENGINE, ECOTEC 1.8L VARIABLE VALVE TIMING DOHC 4-CYLINDER SEQUENTIAL MFI (138 hp [102.9 kW] @ 6300 rpm, 125 lb-ft of torque [168.8 N-m] @ 3800 rpm), AUDIO SYSTEM AM/FM stereo with CD player and MP3 playback capability, graphical display, Wipers, front intermittent, variable, Windows, power with Express-Down on all, Wheels, 16" (40.6 cm) steel with silver-painted wheel covers, Wheel covers, bolt-on, silver-painted. * Visit Us Today *Stop by Bleecker Buick GMC located at 926 E 4Th Ave, Red Springs, NC 28377 for a quick visit and a great vehicle! Certain data and other content displayed herein is copyrighted. All rights reserved. All vehicles are subject to prior sale. While every attempt has been made to ensure the accuracy of the data displayed, HomeNet Automotive and the Dealer (Bleecker Buick GMC Used) are not responsible for any errors or omissions. All information is gathered from sources that are believed to be reliable, but no assurance is given that this information is complete and we cannot assume any responsibility for errors or omissions or warrant the accuracy of this information. * Based on 2013 EPA mileage estimates, reflecting new EPA fuel economy methods beginning with 2013 models. Use for comparison purposes only. Do not compare to models before 2008. Your actual mileage will vary depending on how you drive and maintain your vehicle.